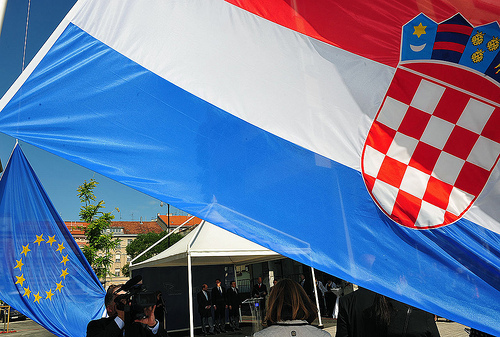 Croatia & the EU 2013 – who is the new Croatian Commissioner? With the accession of Croatia as the EU’s 28th Member State – and second which used to be in the former Yugoslav republic – the College of European Commissioners also grows larger. Unique to the other institutions, the European Commission acts only in the name of the European good, with the unique right, and some might say duty, of legislative initiation. This is but one stone in a powerful foundation which the Commission has vigorously nurtured over the years, which makes it one of the most influential actors in modern Europe. Therefore, we should avoid the temptation to view one of the most influential people in Europe as simply a “Croatian” addition (for which we can look to the Council or Parliament), but rather an addition to the supranational executive that is, the Commission. So, who is the new Croatian Commissioner? Previous Life & Work: Mimica began his career as a diplomat in the position of attaché for Yugoslavia, working in the area of trade and foreign relations, where he remained in various capacities until the outbreak of the Yugoslav Wars. During the conflict, Mimica remained in Cairo representing the recently independent Republic of Croatia before taking a mandate in Turkey as Minister Plenipotentiary at the Embassy of the Republic of Croatia in Ankara until 1997. Mimica made his debut into Croatian national politics as the assistant Minister of Economy, primarily working in the area of International Economic Relations, and as such, he was Chief Negotiator for the accession of Croatia to the World Trade Organization. His experience negotiating Croatia’s entry into the WTO proved fateful, when in 2000 Mimica would brand his name into the Brussels political consciousness as the man who successfully negotiated and signed the Stabilisation and Association Agreement (SAA) with the EU. This is seen by many as the defining point in which, at the turn of the millennium, Croatia moved from the memories of ethnic conflict and strife, towards a European future, like so many before it. Following his three year tenure as Minister for European Integration from 2001 -2003, Mimica took a mandate from the Croatian people and sat in the Croatian Parliament as both Chairman of the European Integration Committee and Speaker of the House. Reception: Given his tireless work in building a European future for the west Balkan republic, Mimica – already a familiar face in the European capital – seemed a natural choice. However, Mimica faced opposition and criticism from deputies of the European Parliament, especially those of the conservative European Peoples Party (EPP), themselves ideologically linked to the opposition in his native Republic. “Neven Mimica has proven to be a serious person but he must catch up with the [Parliament’s] claim for the enforcement of concrete EU laws. Before being confirmed as a European Commissioner he must respond more concretely to MEPs’ questions,” said German MEP Andreas Schwab, EPP. Despite these objections, Mimica was no stranger to the single European chamber, having often led delegations from the Croatian National Parliament. Following a successful session with the Consumer Protection and Food Safety Committees (those who will be responsible for scrutinising legislation prepared by Mimica), the Parliament approved him as Commissioner designate. Neven Mimica will join the College of Commissioners during the final year of the executive’s mandate. His portfolio was cleaved off that of Antonio Borg – who was himself almost rejected by the socialist and green factions in the Parliament for his contentious views on abortion and homosexuality, therefore paving a tough time ahead for Mimica as the “new kid on the block”. Indeed, Mimica will command Consumer Protection, a portfolio which could lead to turf wars with powerful and established Commissioners such as Michelle Barnier or ‘Steelie’ Kneelie Kroes. However, as a diplomat and politician who has steered a country from being one haunted by Europe’s most bitter conflict since the Second World War to a nation being incorporated into the European fold. Considering his recession blighted homeland and the EU itself still struggling to emerge from the worst economic crisis it has faced, the future of Commissioner Mimica remains to be told.